Temecula Tow Company is the most dependable source for jump starts in Temecula, CA and the surrounding areas. 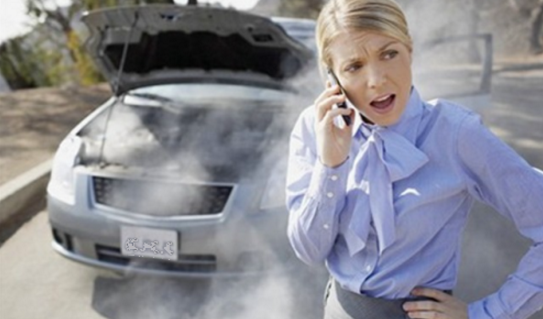 We provide battery jumps and other roadside assistance for all car and truck manufacturers. Our tow technician assesses your vehicle issue and offers industry advice and help. Whether it is your dead battery or your flat tires, our roadside assistance professional swiftly identifies the problem and delivers much-needed help. We know how to service any issue that you have with your vehicle. Our friendly staff has gotten us a loyal following and have satisfied hundreds of faces and families in Temecula, CA. We are dedicated to guaranteeing your vehicle is maintained professionally and gives you back the comfort and security you have come accustomed to. Since 1980, we have offered a full range of roadside assistance services, such as jump starts, flat tire changes, and fuel delivery. With our seasoned specialists, no auto assistance job is too simple or complex. Our only intention is to give you the service you need, and the level of quality service you deserve. We work limitlessly to fulfill all your anticipations and surpass them. Whether you need a battery jumped or to get back in your locked car, we can help you. With 37 years of towing and auto service in the Temecula, CA area, we have been prosperous due to our use of clarity, as well as completely understanding our customer’s needs. We ensure you’ll find what you are looking for with our roadside assistance service. Our team stands behind all their work because they deliver the level of satisfaction you are seeking. Not all towing and roadside assistance companies in Temecula, CA can give efficient tows and roadside assistance. They might assert to do so, but they don’t have the technology, equipment, and know-how to truly complete the roadside assistance job correctly. Unlike our competitors, our company gives you professional service from expert and skilled roadside assistance technicians. Moreover, we use only top-quality tools for all of our roadside assistance requests, like jump starts. With us, your money and time are always well spent. We know that your vehicle is a crucial item that is vital to your everyday routine, whether it is for personal or business use. So, when it malfunctions, it is critical to get someone who is experienced and capable of providing the necessary help. If you attempt to do the work yourself, you will cause more harm than good. By arranging roadside assistance from us, you can rest easy knowing that you are getting fast and effective service from a respectable Temecula, CA roadside assistance industry professional. Our towing contractors come to you with a fully stocked truck holding everything needed to correct your issue. If you want us, or it is necessary, to transport your vehicle to a Temecula area auto mechanic for repairs, we can handle the tow for you. We know that towing and roadside assistance services can be pricey, so we do all we can to keep your roadside assistance costs low. To get your vehicle back to running with an effective battery jump, come to Temecula Tow Company.